It may just have been this crab-back. 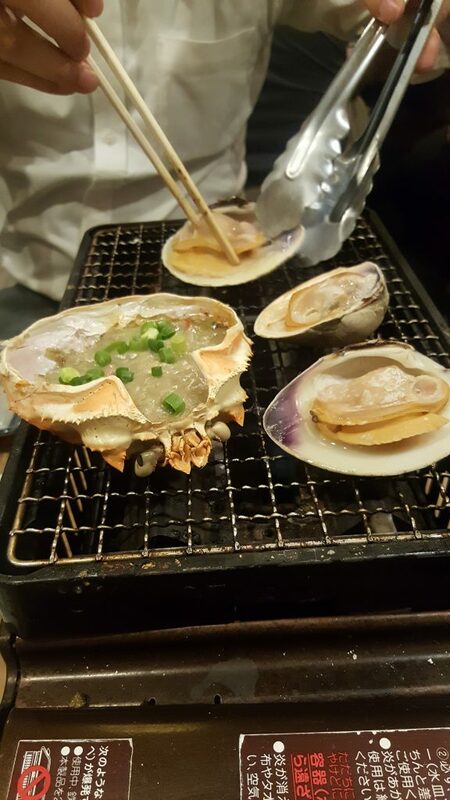 The meat had been pulled from the rest of the crab, coated in miso-butter, and we cooked it until brown and caramelized on a small grill. 2 roommates; they clean, I cook. and I try to craft an experience. in terms of texture, and focus, and content. I don't use recipes, or repeat dishes. I'm not bound to a style. and I like to share my passion for food. and what did, and did not turn out well. I would love comments and suggestions for improvement or future meals!